Provided by 360training.com, these 10 & 30 hour training certificates provide instruction on OSHA regulations and requirements as they apply to construction and general industry. These courses teach safety awareness, which assists workers in recognizing and reducing the risks of workplace hazards. Upon successful completion of this course, graduates will be awarded a wallet card and certificate of completion. The courses in occupational safety training offered at this website are not OSHA Outreach Training Program classes; students will not receive a DOL OSHA 10- or 30-hour Outreach Training Program student completion card. The 10 Hour Construction Safety Certification Training Program is intended to provide an entry level construction worker's general awareness on recognizing and preventing hazards on a construction site. OSHA recommends Safety Certification Program courses as an orientation to occupational safety and health for workers covered by OSHA 29 CFR 1926. Workers must receive additional training, when required by OSHA standards, on the specific hazards of the job. Upon successful completion of the course, participants will receive a 10-hour Construction Safety Certification completion card instantly. You will find supplementary materials available for download by clicking the "Materials" tab on the menu located within the course player. The 30-hour General Industry Safety Certification Training Program is intended to provide an entry level general industry worker's broad awareness on recognizing and preventing hazards on a general industry site. Students will be introduced to OSHA policies, procedures and standards as well as general industry safety and health principles and work practices covered by OSHA 29 CFR 1910. Special emphasis will be placed on areas most hazardous using OSHA standards as a guide. General industry workers must receive additional training, when required by OSHA standards, on specific hazards of the job. Upon successful completion of the course, participants will receive a 30-hour General Safety Certification Training completion card that can be printed upon completion of the the course. 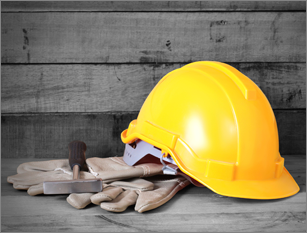 The 30-hour Construction Safety Certification Training Program is a comprehensive safety program designed for anyone involved in the construction industry. Specifically devised for safety directors, foremen, and field supervisors. OSHA recommends safety training programs as an orientation to occupational safety and health for workers covered by OSHA 29 CFR 1926. Construction workers must receive additional training, when required by OSHA standards, on specific hazards of the job. Upon successful completion of the course, participants will receive a 30-hour Construction Safety Certification Training completion card that can printed upon completion of the course.